Looking for the best LED Grow Lights? 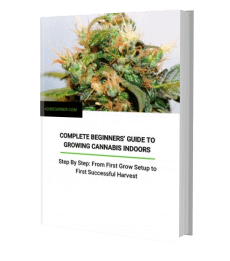 We made this guide complete with reviews of all the top LED Grow Lights for your indoor garden and hydroponic. But the truth is, the best grow light for you is the one that best suits your growing circumstances. And that can be HID at times. 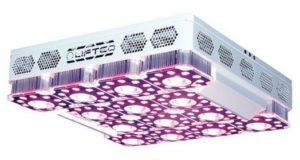 However, it’s becoming increasingly accepted that a top of the range LED grow light can easily replace an equivalent HID. Moreover, LED grow lights suit a much wider range of grow spaces and setups. They can certainly make growing a lot simpler and more convenient—for the home or hobby grower and commercial growers alike. Nevertheless, HID grow lights have a lot to offer in the right circumstances. What are HID Grow Lights and How Do They Work? High Intensity Discharge grow lights, as the name suggests, are prized for the brightness and intensity of the light they emit. Light that’s intense enough to easily penetrate the canopy and nourish your whole plant. How Do HID Grow Lights Work? The technology behind HID grow lights has actually been around for centuries. Gas is enclosed within a glass bulb, along with electrodes. When electricity is passed through the bulb it forms an arc between the electrodes which heats the gas molecules. This causes the gas to give off light. Brightness and color of light depends on which gas the bulb contains. 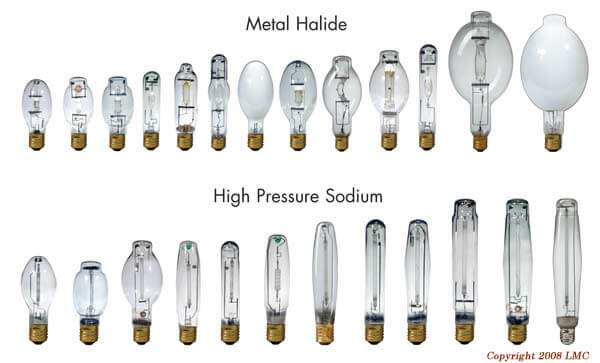 The two main kinds of HID bulb you’ll find within grow lights are Metal Halide (MH) and High Pressure Sodium (HPS). MH bulbs emit a cooler, bluish spectrum that’s ideal for the vegetation stage of growing. HPS bulbs, on the other hand, create a predominantly orange to red spectrum, that will look yellow or gold to the human eye. HPS bulbs are ideal for flowering, but can also be used for the whole grow cycle if needs be. However, there’s more to an HID light than just the bulbs. You’ll also need a reflector hood to direct the light. Some take HPS or MH bulbs only. Others allow switching. The hood will often include some form of cooling too, since HID bulbs run very hot. But you’ll often need to supplement that with extra cooling too. Finally, you’ll also need a ballast to power the light. The ballast converts mains electricity into electricity that the bulbs can use. Bulbs come in two types, digital and magnetic, so ballasts do too. Not only that, but you’ll also need a ballast that matches the wattage of the bulb. 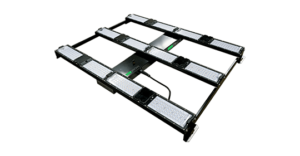 Ideally, your ballast should be digital (more efficient), versatile (able to power MH or HPS) and dimmable. Fortunately, all this often comes as a package, so growing with HIDs isn’t quite as inconvenient as it sounds. Bright, intense light that penetrates the canopy to nourish the whole plant. 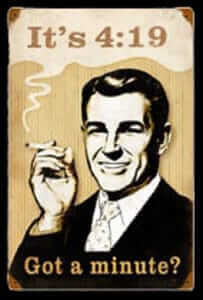 Long history of successful use, so plenty of reliable information and growing advice available. MH bulb spectrum includes UV (ultraviolet) light which stimulates production of terpenes and resin for better flavor and THC levels. Especially useful when added in the last couple of weeks of flowering to ‘ripen’ your bud. HPS bulbs can be used for the full grow cycle, though it’s optimal to use MH instead for the veg stage. A hybrid grow setup combining a powerful HPS grow light with supplementary LED grow lights can be very effective for larger grows. You get the intensity of a good HPS light, while LED grow lights hung either side of your HID give your plants a fuller spectrum and help ensure coverage of the edges of your grow space. 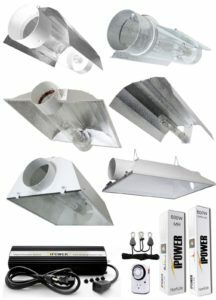 1000W HIDs give good coverage, so are great for commercial growers with large grow spaces. Whereas 400W and 600W can be great for home growing. Frequent bulb changes, which increases running costs long term. HID bulbs degrade quickly (up to 10-15% after one year), becoming less bright and efficient; spectrum shifts too as they grow dimmer. MH last up to 10,000 hours, HPS last up to 18,000 hours, but both are usually changed sooner. Not suitable for confined spaces, potential fire hazard if not cooled properly. Not suitable for low rooms, as have to be hung higher than other grow lights to protect the plants. Increased water and nutrient bills due to evaporation. Not great for stealth growing. Around 75% of energy emitted is heat. Includes high levels of infrared that can stress and damage plants. Rely on reflectors to direct the light, losing up to 15% efficiency as a result. Light loses intensity every time it bounces off a surface before hitting the plant. HPS bulbs create much more green and yellow light than the plants actually need, wasting energy. The best LED grow lights are now matching and exceeding HIDs on PAR (Photosynthetically Active Radiation) per watt and yield per watt. Not great for the environment: bulbs contain toxic metals. Switching bulbs above a full, flowering canopy and/or a large grow space can be tricky. 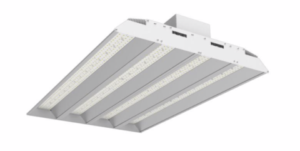 Below 400W, HID lights are generally seen as inefficient and better replaced by much cooler fluorescent or LED grow lights. At 1000W or above, generally too powerful for home and hobbyist growers. One big reason LED grow lights are becoming so popular is that they solve most if not all of the problems we’ve just listed. How Do LED Grow Lights Differ from HID? LED grow lights use LED chips rather than any sort of bulbs. The chips or diodes turn electricity directly and efficiently into light. Like HID lights, certain colors of LED chips are more energy efficient than others. However, even so, an LED grow light will use far less energy or wattage than an equivalent HID. 50-70% energy savings are quite normal to see. You won’t have any hoods or ballasts to worry about either. Because LED grow lights are basically plug and play. Hang up your unit, plug it in at the wall, turn it on. Raising and lowering the height for different grow stages is really about as inconvenient as it’ll get. And if you want to change spectrum for different grow stages, simply flick a switch. In fact, some can even be controlled and fine-tuned by touchscreens, WiFi, smartphone apps or remote control, or set to an automatic program. All of which save you trying to reach the light above a full, flowering canopy. The other major difference is how cool LED grow lights run compared to HIDs. Not only is less energy wasted creating heat, less electricity is wasted cooling them (40-50% less). Moreover, the design of most LED grow light units makes sure that whatever heat is produced is mostly directed up and away from the plants. LEDs can deliver a very precise spectrum tuned exactly to the needs of your plants, with no electricity wasted on producing light the plants won’t use. A basic full spectrum LED grow light can be used efficiently for a full grow cycle. Can be placed closer to plants than HIDs, so can be used in a much wider variety of grow spaces, including stealth growing. High PAR per watt and yield per watt. Good for 50,000-100,000 hours of growing, with very little loss of quality towards end of lifespan. Less heat = less watering, much lower fire risk and less nutrient evaporation. Good for use in greenhouses to supplement sunlight on dull days, as can be easily switched on or off and many can be dimmed. Even very powerful LED grow lights (well over 1000W equivalent) remain much more energy efficient than HIDs. Better for the environment: no toxic metals used, less water and electricity used. 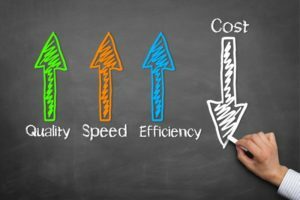 Lower utility bills and other running costs. No bulbs to change and generally much lower maintenance; few parts to go wrong. However, low running costs mean they work out cheaper than HID in the long run. Need to be careful how close your grow light is to your plants. Placed too close the sheer intensity of LED light can cause so-called ‘light burn’ (which is when your plants get more light than they can process, rather than the light being too hot). Also, LEDs still produce some heat—the more powerful, the more heat. Some LED grow light manufacturers get very creative with their specs to make essentially untrue claims about their lights. 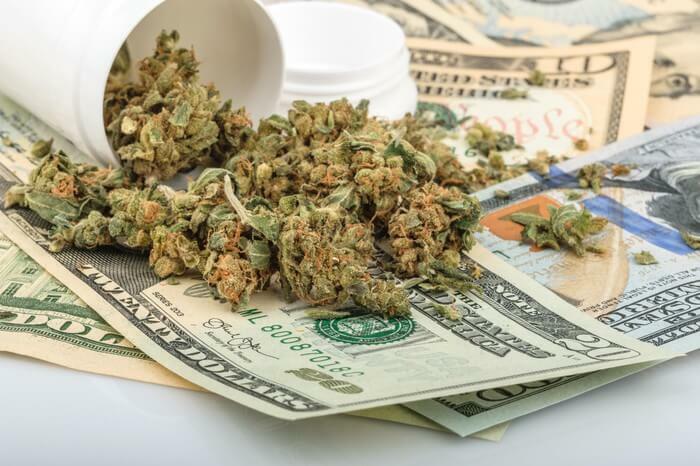 The better manufacturers, however, tend to give plenty of supporting figures and detailed diagrams so that you know exactly what you’ll be getting and exactly how well it will cover your grow space. Fluorescent lighting might be cheaper and more practical for growing just a plant or two in a very confined space. With some of the cheaper, less powerful models you may need to learn plant training methods like Sea of Green or Screen of Green to make sure all parts of the plants get enough light. LED grow lights have matured to a point where the best can replace and exceed HID lights in pretty much any situation. And they just keep getting better. It’s not that HID lights are ineffective. Far from it. They do the job very well. 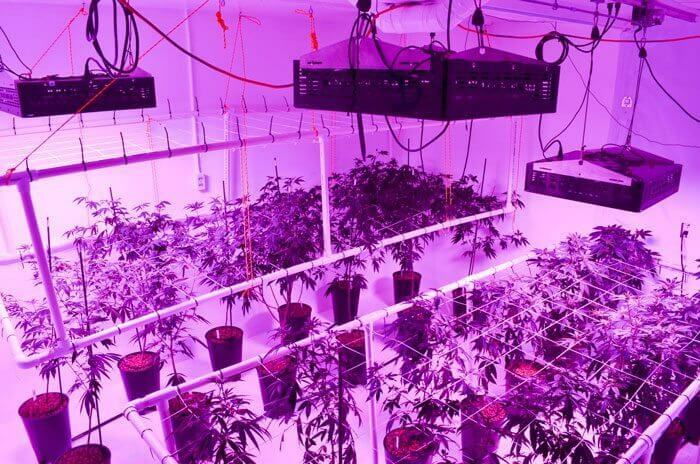 But unless you lack the budget for the initial purchase, the lower maintenance and running costs, the greater convenience, versatility and reliability of LED grow lights give them the advantage. Even many big commercial growers who used to swear by HIDs have successfully switched to LED grow lights. Check out our LED grow light reviews to help you choose the right one for you. Or you can find even more LED grow lights reviewed on our sister sister site 420Beginner.com.